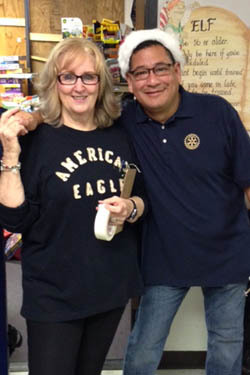 Rotarians support NAM with Christmas Toy distribution. Each Christmas Willowbrook Rotarians participate with other area charitable organizations to fill Christmas Toy Bags for local families in need of assistance to provide Christmas Gifts for their children. These toy bags are distributed by Northwest Assistance Ministry to needy families. WRC joined with NAM to assist in this distribution. 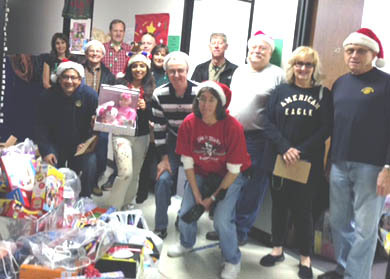 Pictured are the Rotarian Elves who are supporting Santa in his Christmas visits for kids.